While the theme of headlines being dominated by the fallout to the Russian doping scandal is likely to continue, there are other storylines lingering below the surface which will be catapulted into the limelight in the coming months. Among the most interesting issues is the battle for inclusion on the programme at the Paris 2024 Olympic Games. This is often a topic which both divides and fascinates in equal measure. Everyone from International Olympic Committee (IOC) President Thomas Bach down to us in the media has an opinion on which sports should be granted a hallowed place at the Games. Paris 2024 will be no different and the campaign, which is already underway, will ramp up over the next few weeks as organisers prepare to submit their recommendations to the IOC Executive Board at the end of March. The Games in the French capital will almost certainly maintain the recent tradition of expansion as it is plausible all 28 core sports on the summer programme will retain their places - yes, even weightlifting and boxing, whose well-documented issues with doping and governance respectively have led to threats, both implicit and explicit, of the dreaded Olympic axe. Paris 2024, like Tokyo 2020, will also be able to add their preferred sports but the exact number is yet to be determined. What is certain is that sports, particularly those played by teams, are facing a much tougher process to achieve their desired aim as the IOC desperately tries to ensure the number of athletes does not exceed the 10,500 ceiling outlined in the Olympic Charter amid criticism of the ballooning size of the Games. Aside from the considerable power and influence yielded by the IOC in this procedure, this represents one of the biggest challenges for International Federations (IFs) who are keen to throw their sport’s hat into the ring. It also raises the possibility that the IOC will have little choice but to follow the much-maligned policy of nightclubs, where people are only granted entry once others have left. Cuts to quota places for existing members of the programme are a realistic possibility following confirmation from the IOC that any extra sports added to Paris 2024 will be included in the overall number of 10,500, a change from Tokyo 2020, where the 474 new athletes across the five new sports were incorporated separately from the core disciplines. The timeline for the addition of new sports at Paris 2024 only adds to the difficulty. The sports programme for the Games in five years’ time will effectively be confirmed at this year’s IOC Session in Lausanne, meaning the lucky few will not have the Tokyo 2020 Games to showcase themselves. This is particularly frustrating for the five additional sports at the event in the Japanese capital - baseball/softball, karate, skateboarding, sport climbing and surfing - and the chances of all five retaining their respective berths appears remote. Final approval on the Paris 2024 sports and events will not come until the IOC Executive Board meets in December 2020, four months after the conclusion of the Tokyo Games, although I would be surprised if the eventual number tops the 33 which will feature next year. The timeframe also condenses the campaign period for interested new sports. The Session at which sports will be provisionally admitted was initially scheduled for Milan in October but was moved forward four months to June as the Italian city is jointly bidding for the 2026 Winter Olympics and Paralympics. The circumstances will not deter those who harbour ambitions of featuring at Paris 2024, however. Some have already publicly declared their intention to earn a spot at the Games in the French capital. The likes of squash, overlooked for the 2012, 2016 and 2020 editions of the event, and snooker have been among the most vocal and have started those all-important public relations campaigns as part of their respective bids. The World Professional Billiards and Snooker Association and the World Snooker Federation – launched for the sole purpose of driving the attempt at Olympic inclusion – even chose the iconic Eiffel Tower to formally launch their crusade. One of snooker’s main selling points is arguably the development of the women’s game, coupled with the potential for a mixed event which the IOC seem infatuated with, even though the value they add to the programme is questionable at best. The sport could also be incorporated into an existing venue, allaying any rise in costs and therefore ticking the IOC’s first and most important box. Global reach may be an issue for snooker, however. 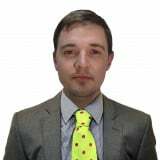 While it has grown exponentially in China, it still lacks any real base in areas such as the United States and Africa, although featuring at this year’s All-Africa Games may help expand it to a continent which is far from a hotbed of the sport. The same cannot be said for squash. Players from all five continents are represented at least once in the top 20 of each of the men’s and women’s rankings – a statistic not even the professional tennis tours can boast, but this should surely be publicised more by the World Squash Federation (WSF). Squash could also find a home at an existing facility. 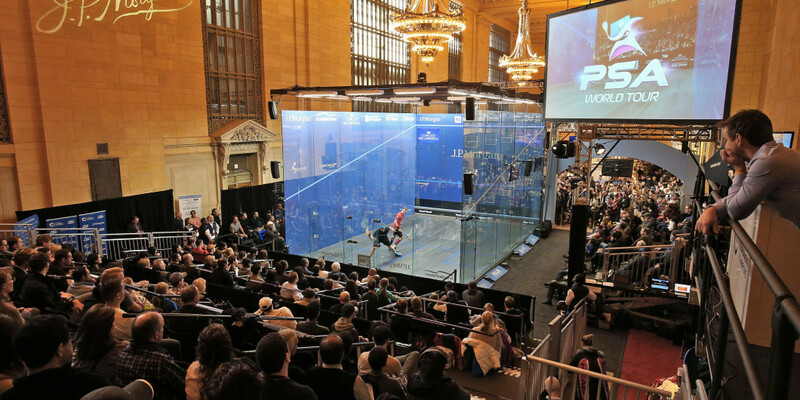 It can be played anywhere – a recent high-level tournament was held inside New York’s Grand Central Terminal, for example – and it could realistically be part of a Tokyo 2020-style urban park, perhaps taking place in an outdoor glass court, should it get the nod from the IOC. Squash enjoyed a successful exhibition at Buenos Aires 2018 and, while being present at the Youth Olympics is not a definitive reason for inclusion at that event’s bigger brother, it certainly does not harm its cause. Where both snooker and squash struggle is their appeal to the younger generation, a key barometer for the IOC when it decides which sports are approved and which are rejected. The IOC’s strive for youth, spearheaded by Bach, is undoubtedly why the likes of skateboarding will be at the Games in Tokyo, despite a multitude of issues with governance and who runs the sport, present both before and after it was added to the 2020 programme. There are others which many will feel are more deserving but skateboarding's youth, urban-orientated nature was a deciding factor. It would be surprising to see skateboarding return at Paris; a far more probable outcome is that the sport’s relationship with the Games is short and sweet. A similar argument could be made for sport climbing, the Olympic future of which is equally uncertain beyond Tokyo 2020. Governing bodies representing baseball/softball and karate, meanwhile, have tried to work the French angle in recent months, while the International Surfing Association electing two French officials to an expanded Executive Committee is surely not a coincidence. Venues may be the principle hurdle for baseball/softball and surfing but karate is another sport which could comfortably fit in to an existing facility plan. Given the need to keep below the 10,500 athletes limit, team sports, such as netball, are further down the pecking order. In fact, smaller versions of events already on the programme, such as hockey 5s, arguably have a stronger case. Aside from the five new sports at Tokyo 2020, and the perennial Olympic bidders such as squash and snooker, there is bound to be the odd surprise or two thrown in with the Paris 2024 package. Boules, a discipline steeped in French history, could be at the forefront of Paris 2024’s thinking given the onus is on host cities to propose additional sports that will suit them and attract interest, although the Confédération Mondiale des Sports de Boules has yet to make a decision on which of Petanque, Lyonnaise and Raffa-Volo to put forward. The International Motorcycling Federation is surely among the rank outsiders despite the organisation announcing it is petitioning to get its electric competition format Trial-E into the Games, while it will be interesting to see how many of the 26 which applied for Tokyo 2020 return to try again for Paris 2024. All that and more will become clearer in the coming weeks as Paris 2024 have pledged to communicate its choices before the IOC Executive Board meets in Lausanne on March 26 to 28. For now, it is game on for sports who believe they are deserving of a place on sport's grandest stage.